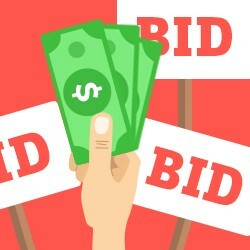 Silent auctions - love ‘em or hate ‘em? Either way, it’s an undeniable fact that they are crowd-pleasers, revenue-raisers and they are here to stay. In 2015 A.J. created Queen Bee Fundraising, which focuses on the art of nonprofit event management. Along with producing nonprofit events, A.J. consults and teaches strategies for producing successful fundraising events and effective volunteer committee leadership.